Fill up our online contact form or call 020 3746 1366, and our 24/7 customer support will give you a non-binding and free estimate, as well as discount information. We employ well-trained roof cleaners who can perform high quality house roof cleaning. Pressure washing devices is applied to rip out algae, mildew, mould, unsightly stains as well as any moss from roofs. Your roof needs to be adequately cleaned out on a regularly, so that your home looks fine, and so that no harm will appear due to dirt and all the other harmful clumps on it. The issue with organisms that dwell on your roof is that they can “eat off” the roof if left unattended for long. Our firm offers a trustworthy and affordable roof cleaning service, that will save you the hassle of having to climb up on your roof or on a ladder to perform the cleaning yourself. Be safe, and request our wholly insured cleaning service right away. For a professional cleaning of any form of roofs, windows, gutters, do not wait to call us now! Gutter cleaning must be done at least once a year, so that you avoid clogging of your gutters and downpipes and water damage to your building. Ashlee House Cleaning has highly skilled, trained and vetted gutter cleaners who can efficiently clean out any leaves, dirt, twigs and other rubbish. They will do the job by using telescopic pipes with cameras, connected to powerful water or dry vacuum cleaner. You will see before and after photos of the condition of your gutters and downpipes. This service is provided with a 1 month quality guarantee, and we will come back to re-clean if they get clogged in the meantime. As we have actually informed you, Ashlee House Cleaning uses completely safe procedure for all commercial and domestic window cleaning orders we receive. The enthusiastic window cleaners South Wimbledon SW19 use purified water. The nature of water in this demineralised state is to strive to return to its natural impure state by actively absorbing all minerals, dirt and chemicals it comes across. With continued use this system actually sterilizes the whole window and frame removing all chemicals and detergents used previously. Window cleaning using the water fed pole method allows our technicians to reach up to the fourth floor of the property. The pole is attached to a water supply in the lorrie and is far faster to use than the traditional ladder method. Right after the entire window has been cleaned the pole is lifted away from the surface of the glass, and more water is sprayed onto the window to give it a final wash. The window is left to dry naturally and because the water is absolutely pure there are no mineral deposits or other residues left over. 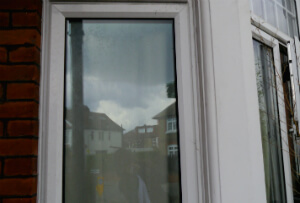 Get top-quality window cleaning in South Wimbledon SW19 right away! To help to make the booking process as fast and easy as possible, we have put in place a terrific 24/7 system. You basically need to make contact with us by either calling 020 3746 1366 or making use of our online booking form. You can ask for a absolutely free quote or directly book our window cleaning South Wimbledon SW19 service now. Our expert window cleaners can arrive on any day of the year. We have public holiday and weekend availability. We have fair rates, no concealed fees, and no deposit for booking. We will give you a discount for each other service you order together with the window cleaning. Property admins and estate agencies get reduced rates as well. Take advantage of our eco-friendly, professional and affordable cleaning services and make a reservation right away. You will get an e-mail confirmation within the next 2 hours!